Welcome to Inspiring Pictures of Meditation. This is Rev Nancy Ash and I'm delighted to share these beautiful and inspiring pictures of meditation with you. Please note the various photographers' copyright© in the meditation pictures, and respect their creativity. Please don't copy them unless you have permission to do so. Okay? Thank you very much. This is what we call "good karma." 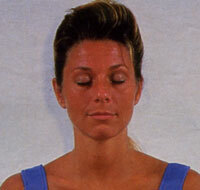 Look for "read between the lines" meditation tips. Enjoy a relaxing 360-degree "view" which I hope will inspire you to get on the cushion and practice. 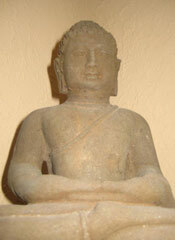 How about creating your own pictures of meditation collection? One of my favorite photos. Yes, this is me...many years ago. One of many amazing photos copyright© by Stewart Ash which captures the essence of what is called in Dzogchen: "Sky Meditation"
Another of my favorite pictures of meditation. 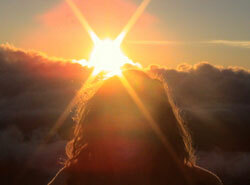 Sunrise at the top of Haleakula on the beautiful island of Maui, Hawaii. 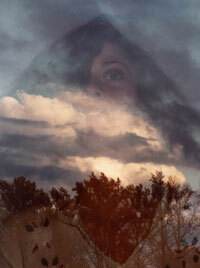 Taken by Jonathan Ash in 2004. Yes, well, it was many, many years ago. Susan, a great yoga student of mine, was married to a professional photographer that needed a "model" for some yoga pictures. I obliged. This photo has appeared around the world in numerous health publications. More inspiring photos! See my advanced yoginis, ages 60-103! 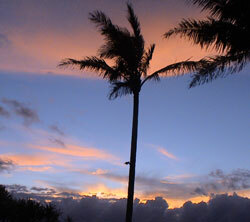 Hawaii sunset by Nancy Ash 2004. I cropped this one to enhance the power of it. Taken during my pilgrimage to India back in the 1990s at Kushinigar where the Buddha made his Parinirvana. This reclining Buddha statue is quite famous, and as you can see, transformative. One of my meditation tips: Focus on it for a while and notice how you feel. 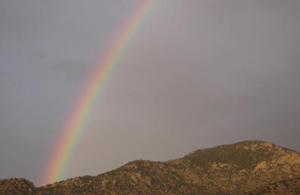 FREE Online Meditations - Rev Nancy's Radio Show "Consider This"
Stainless, Sacred Upholder of The Red Hat Lineage, The Nyingmapas of Tibetan Buddhism. 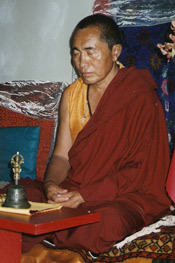 Dzogchen Master of the Vajrayana, The Indestructible Diamond Vehicle, my sweet teacher and spiritual father. May he return swiftly for the sake of all sentient beings. I took this during one of our retreats at The Padmasambhava Buddhist Centers, sometime in the 1990s. Links to Radio show featuring FREE Guided Meditations - Enjoy! I love to experiment, crop and create photos -- especially of yoga pictures and meditation pictures like this one, taken in India during pilgrimage. We're at Shrivasti where The Buddha spent many years during the monsoon season. This is the actual ruins of His home that we're meditating on. Not sure of the photographer…may have been me. If you're into hatha yoga, then you know this is one of many great yoga pictures for Vrikshasana, the tree posture (asana). Actually, you may recognize it from my 360 web page on that subject. 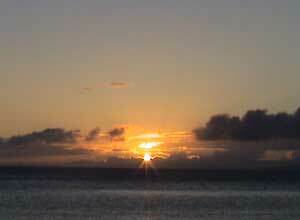 I took this colorful photo -- one of my beautiful pictures of meditation -- on Maui in 2004. May it awaken and inspire your Soul! If you're into hatha yoga or other conscious movement disciplines, then naturally you'll soon begin a meditation practice on the cushion. Perhaps you already have--wonderful. You may wish to click below for some important 360 meditation tips. Inspiring Yoga Pictures - 103 years young!